In more ways than one, boarding school is an investment. There is, of course, the financial reality of tuition associated with a private school education. But the term “investment” extends beyond the financial cost of a tuition-driven educational experience. It is also an investment in your child’s future. 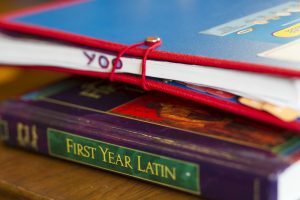 The development of strong study skills is a frequently- noted benefit of boarding schools. In many cases, study halls are built into daily schedules—often multiple times a day. 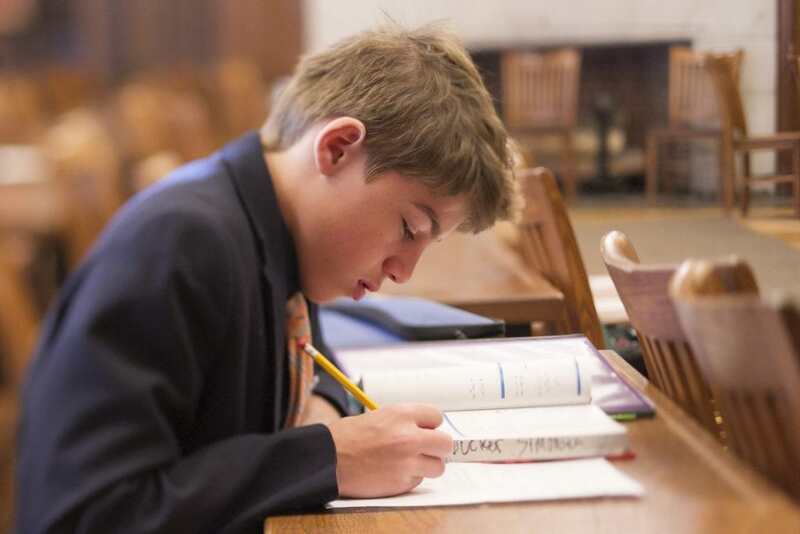 At Fessenden, we constantly hear from students that “it’s easy to study when everyone else is studying.” Tasks like completing homework become second nature when it’s “part of your daily routine.” It is especially good to develop these habits at a junior boarding school, which will give students a competitive advantage at and prepare them for secondary school—and also when they eventually go off to college. 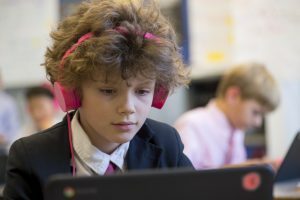 Boarding school students are immersed in a learning environment at all times which sets the stage for their future academic journeys and shapes them as learners. At Fessenden, boarding students have a balance of structure and independence, which allows them to learn to become responsible students, friends, and community members with guiding support. It may sound simple, but the skills of remembering to practice good hygiene, preparing for the upcoming school day, and developing time management are improved throughout the year. At Fessenden, we are proud to be partners in parenting, and our residential faculty—including dorm parents, friendly dogs, and tiny tots—create a home-away-from-home experience. We meet with students before or after dinner for extra homework help; remind boys to call home, brush teeth, or put clean laundry away; celebrate a range of successes and triumphs; and encourage and support students when they are feeling down. This nurturing mix of guidance and freedom leads students to feel a sense of pride in becoming increasingly responsible young men. The Power of Choice Will Be Realized. Most boarding schools encourage students to develop the important skill of choice. Successful boarding programs will foster this in the classrooms and in students’ daily lives. For example, student choice is a critical component of project-based learning, which can be utilized more easily by private schools that aren’t held to strict state standards and mandated tests. But student choice is also incorporated into things like weekend and evening activities. At Fessenden, we allow students to make their own choices and design their own weekend experiences, which teaches them how to balance their schedules. When an exhausted student who signed up for a hike in the morning isn’t quite so keen to join the hockey game he signed up for in the afternoon, he learns an important lesson about managing his energy and physical needs. 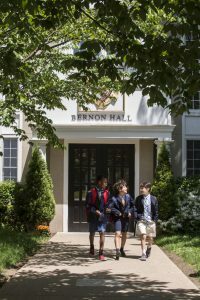 According to The Association of Boarding Schools (TABS), an organization that conducts research and promotes awareness and understanding of boarding schools, 78 percent of boarding school students feel well-prepared for college, as compared with 36 percent of private day school students and 23 percent of public school students. While Fessenden’s boarding school population is fairly small compared to the whole school (approximately 100 students out of the School’s more than 500 total students in Pre-K through Grade 9), the impact our residential program has on the footprint of the School is significant. For example, while our day students don’t board at Fessenden, they enjoy the warmth and richness created by the boarding community, including the opportunity to develop relationships with 40 faculty families who live on campus. It adds another dimension to the daily experience and contributes to the close-knit community from which we we all benefit. Do you have a student who is currently enrolled in a boarding school? What types of growth have you seen? Gabe Lopes, a sixth grade student, shares his thoughts about his past, present, and future at Fessenden. We hope you enjoy this delightful student talk about the Fessenden experience. 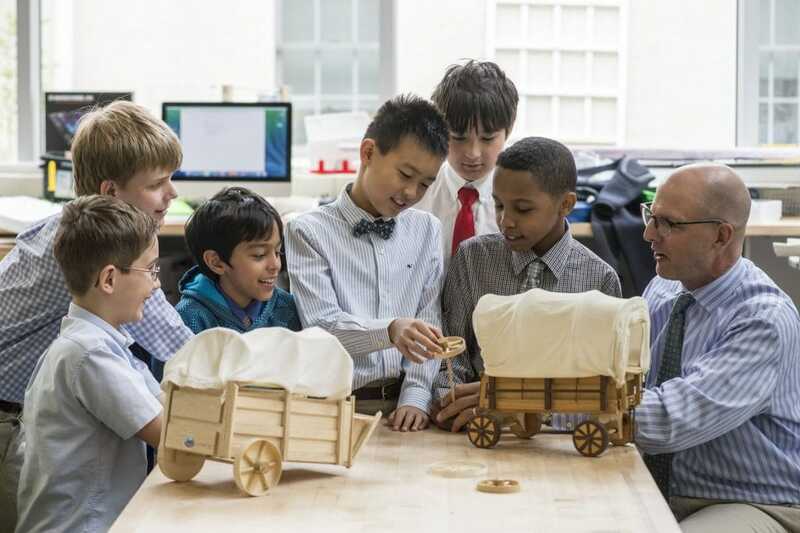 In a time of accelerated change in nearly every aspect of life, private schools often strive to deliver a program that blends tradition with innovation, simultaneously honoring the past and preparing students for the future. The terms “traditional” and “innovative” are seemingly paradoxical, so what does this actually mean? And how can you determine whether or not a school is doing it well? The answer to these questions depends on the school, but there are a number of key things to consider if you are in search of a middle school for your child that makes good on its promise to offer the best of both worlds. Private schools in the United States date back to the late 1700s. Today, centuries later, many take pride in the traditions that have shaped their respective institutions. But with the rich history and benefits of private schools, tradition isn’t always perceived in a positive way. The celebration of the past—particularly the stuffy and elitist stereotypes that can sometimes appear in the media and entertainment industries—often leads to misperceptions and stigmas that paint private schools with the same broad strokes. Rigid and austere are adjectives that may come to mind for those unfamiliar with private schools, for example. But while many schools do celebrate time-honored traditions, the educational landscape is drastically changing to adapt to an increasingly complex and unpredictable world. Honoring tradition means respecting the parts of a Fessenden education that stand the test of time. On the surface, characteristics inherent to our school—like our colors, Red & Gray—will always be important. We believe in the importance of teaching boys that hard work pays off. And, for a century we have taught young men to be honest, compassionate, and respectful. But we believe there are ways to honor tradition without holding on to academic philosophies that may become outdated over time. 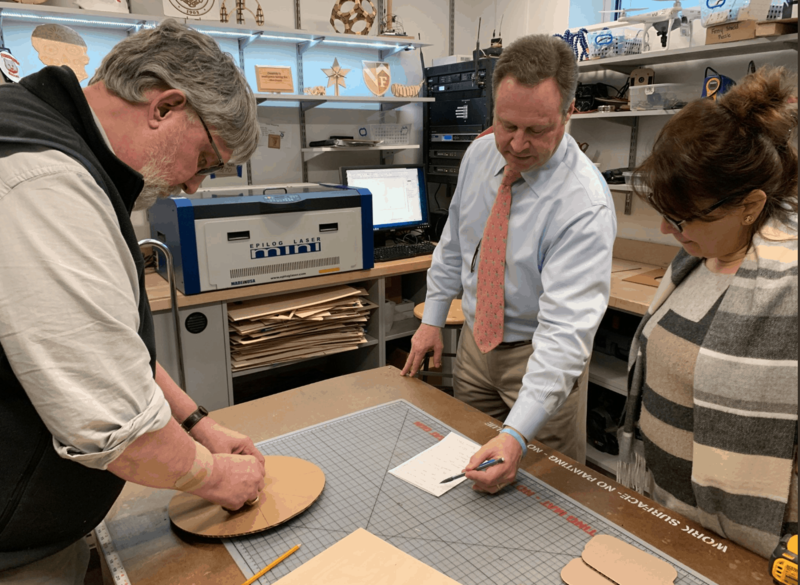 While our faculty are dedicated to providing the most effective educational experiences to our students, we also know that educational best practices evolve and that we must adapt to prepare students for their next steps. Today, we model grit, resiliency, and agility because we know how important those skills are and will continue to be in the future. 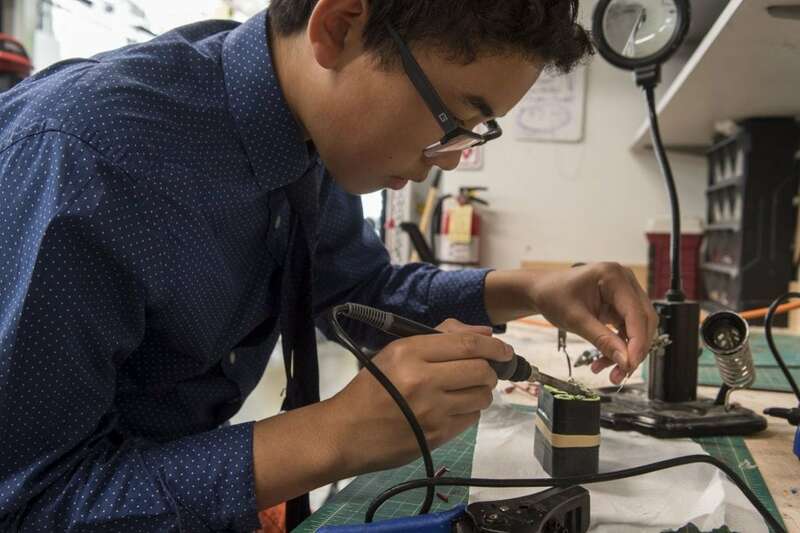 Why Has There Been a Push Toward Innovation in Private Schools? Content and information is available to us at a moment’s notice. This is a vast departure from previous generations, and some schools and educators have been forced to grapple with what that means for a changing world and a shifting educational landscape. In recent years it has become glaringly obvious that a technology gap exists between generations; today’s students are digital natives, and they know how to access information in real time. The need to teach digital citizenship and help children navigate technology in a responsible, thoughtful, and compassionate way has never been greater. We feel it is important to not only introduce technology into a classroom, but to do it in a thoughtful way that increases what we call the six Cs (or core competencies) at Fessenden: critical thinking, communication, collaboration, creativity, character, and cross-cultural competency. There has been a recent push to incorporate what’s dubbed as “innovative” practices into educational programs. 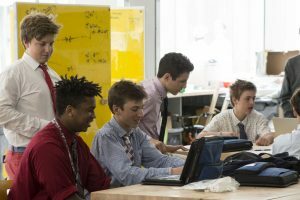 Things like makerspaces, an increase in the number of coding and robotics offerings, and the use of buzzwords—like “innovation” itself—have cropped up in the independent school landscape, and the speed at which this has occurred necessitates a close look at how and why schools are introducing these concepts. The simple question prospective parents and students should ask themselves is, “Does the school integrate innovative practices into their school-wide academic program, or is it an added offering?” In other words, are critical 21st-century skills thoughtfully spread cohesively throughout a school’s curriculum, or does “innovation” appear separate through electives, stand-alone projects in a specific classroom or place on campus, and after-school activities? Is there a dedicated makerspace or innovation lab, and, if so, what kind of traffic does it see from classes throughout the school? Is it mostly math and science or do global languages and humanities utilize the space in creative ways? At Fessenden, we encourage students and teachers to work across departments and collaborate with others. Many of our teachers have been trained at the Buck Institute for Education (now called PBLWorks), an organization that focuses on professional development for teachers. Their belief, which is rooted in research, is that through PBL, “students engage in learning that is deep, long-lasting, and relevant to the challenges of their lives and the world they will inherit.” From our youngest learners to our students preparing to begin their secondary school journey, project-based learning is delivered throughout the School. We continually find ways to push ourselves forward while simultaneously upholding our tradition and long-lasting commitment to educating boys in every aspect of their lives. 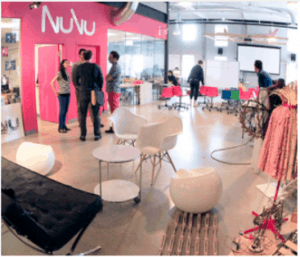 We want our students to contribute positively to—and adapt along with—the quickly-evolving world in which they live. If you are considering a private school for your child, do tradition and innovation come into play? What place, if any, does innovation have in a school curriculum, and what does successful implementation look like to you? When the Students are Away the Teachers Will "Play"
Our NuVu afternoon began with a few words from Assistant Head of School Angela Garcia, who restated our commitment to 21st-Century Best Practices and focused on our movement from a traditional pedagogy toward a more constructionist approach. Curt Lewellyn, Director of the CCI, introduced Tiandra Ray, our NuVuX Fellow, who has been working at Fessenden this year as a coach and advisor in Upper and Middle School classes. Tiandra’s brief presentation on the "Eight Things to Know" prepared the gathering for NuVu-style, small-group problem solving. The group was then shown a short YouTube video, How Cell Phones Have Completely Ruined Our Lives, to set up the afternoon's challenge: create something that helps people disengage from their cellphones and reconnect with the environment or people around them. 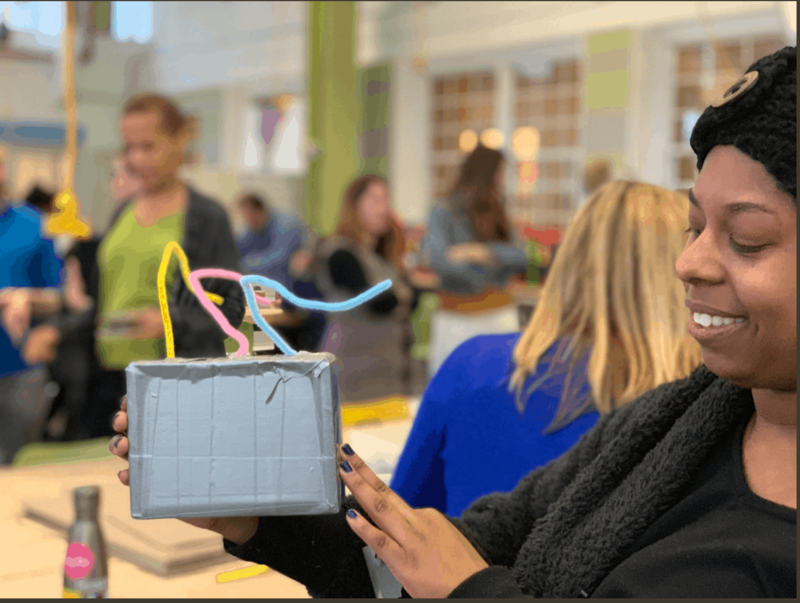 With guidance and coaching provided by CCI and Wheeler Library faculty, these small groups collaborated to build prototypes of their designs. If you’re one of the many parents deciding between private and public school for your child, you know there are myriad considerations ranging from the cost of tuition to the intangible feel of an academic environment. With subtle differences at each grade level—organized sports won’t rank high on your priority list if you’re in the market for a private preschool experience, for example—one common thread runs from Pre-K through grade 12: the quality of a school’s curriculum. What’s the Difference Between Public and Private Schools? Some might argue that it’s unfair to compare public schools to private schools. While they are both assessed through formal and informal channels (including review boards and word-of-mouth reputations), the metrics are nuanced. If you’re evaluating a public school, you might have readily available data about average test scores, student proficiency in reading and math, or the characteristics of a neighborhood. If you’re looking at a private school, factors like secondary school placement, academic philosophy, or campus facilities might be important to you. Most notably, public schools are beholden to strict state educational guidelines, and teachers must be certified. At the same time, private schools are known for their flexible approaches to curriculum. Their teachers are not held to the same requirements, and they usually hold advanced degrees and are subject-matter experts. So, what does that mean for your child? Does the quality control afforded by a standardized curriculum help students? Or could it actually prohibit children from reaching even higher performance and growth? Private schools are free to design their own academic programs rooted in educational best practices without worrying about the link between high test scores and funding. There are many student benefits of not participating in mandated standardized tests and outdated assessment procedures. At Fessenden, we do continually assess our students, but our entire curriculum isn’t built around tests. We understand each child’s academic strengths and weaknesses by conducting a series of assessments throughout the school year. They put less unnecessary pressure on students and enable us to customize boys’ learning experiences. Using these benchmarks as guideposts, we are able to innovate in the classroom and bring learning to life throughout the year. And, with a keen eye toward differentiation, we know which children need a little extra support, and which need greater challenges. 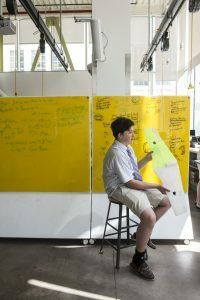 How do private schools actually prepare students for the next steps in their academic journeys? At Fessenden, we put students at the center of their own learning. This isn’t just marketing jargon; it’s deeply rooted in our academic philosophy and our mission to cultivate each boy’s talents and develop in balance his character, mind, and body in an inclusive and joyful community. We are able to do this—to know each boy and create happy, engaged, and inspired learners—because of the flexibility of our curriculum. Most parents, at the start of their search, will tell you the ultimate indicator of a high-performing school is high school or college preparedness. According to a 2015 study conducted by ACT, students who attend private school are more likely to be prepared for college than students who attend public school. The study suggests that “85 percent of 2015 graduates of religious and independent schools who took the ACT met or exceeded the test’s college readiness benchmark score in English, compared to 61 percent of graduates from public schools.” The results were similar in math. As a Pre-K through Grade 9 school, we are proud of our Secondary School Counseling team and our approach to school placement; we work in partnership with boys and their families to help them navigate the secondary school admissions process with responsibility and confidence, which ultimately prepares them for college and beyond. Are you in the middle of a search for the right school for your child? Are you leaning toward public or private school, and what are the main factors in your search? Hear the story of why one family chose to enroll their son in a junior boarding school.